As the front line of healthcare provider working with patients who are dealing with a terrible, and often terminal, disease, oncology nurses are truly the angels of the medical field. Working with cancer patients requires a tremendous and nurturing heart as well precise skills and knowledge, all of which should be expertly conveyed in your resume objective. 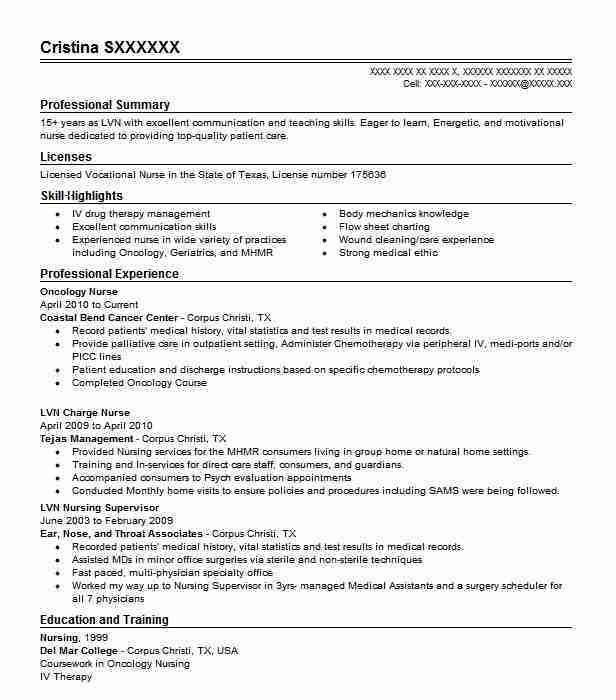 Having an objective that is to the point allows for the hospital administration or others reviewing your resume to see just how much value and talent you bring to the table. 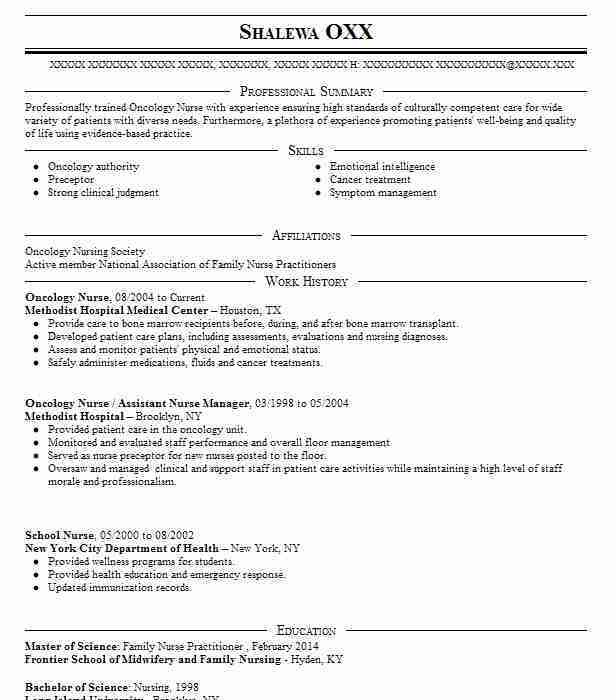 When looking to write an exceptional resume objective for an Oncology Nurse position, keep in mind those characteristics about you that would stand out to your potential employers. 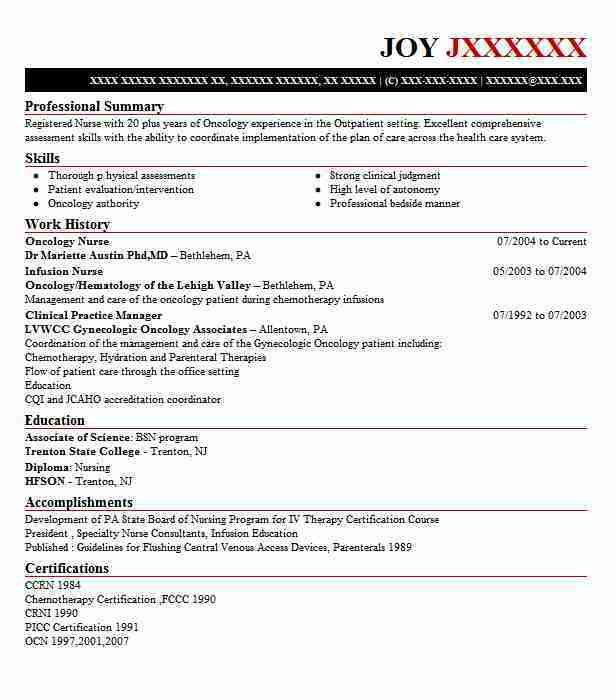 Whether it be your long career in nursing or your excellent interpersonal skills, having some of these clearly laid out for the hiring managers to see will enable your resume and application to stick out in their minds when determining who to interview. 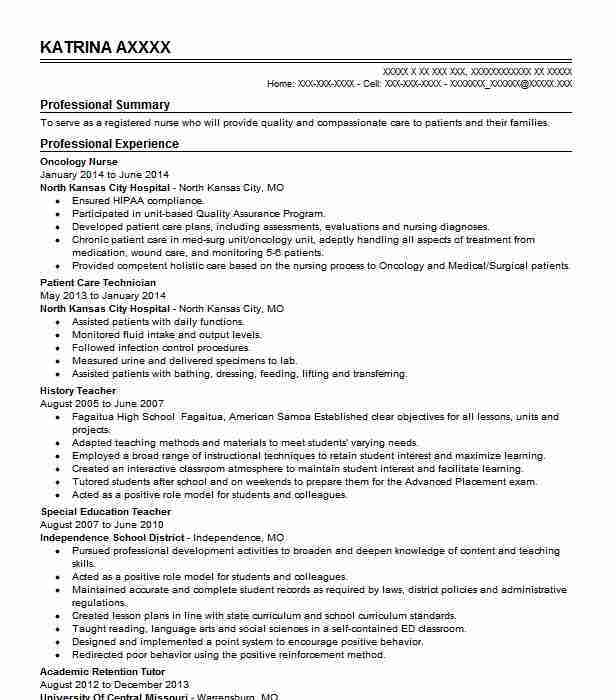 Make sure to include a high achievement or goals that you have for the healthcare facility that you are applying to if you want your resume to really shine through. 1. Looking to obtain a Senior Oncology Nurse position with ABC Company that will utilize 22+ years of nursing experience in a renowned hospital, excellent managerial experience as a team-leader and post-graduate degree education. 2. Searching for an Oncology Nurse Intern position that encourages growth in the nursing field and allows for use of practical skills as well as exceptional patient care. 3. A highly qualified individual with a post-graduate education in Nursing and 16+ years of Head Nurse experience at a local hospital searches for an Oncology Nurse Management position with ABC Company. 4. Obtain a rewarding career as an Oncology Nurse at ABC Company to further current nursing skills in the cancer wing and utilize superior medical knowledge and nurturing talents. 5. Seeking an Oncology Nurse Associate position at ABC Company to work with fellow nurses and care for patients who need an exceptionally skilled nurse and encouraging heart. 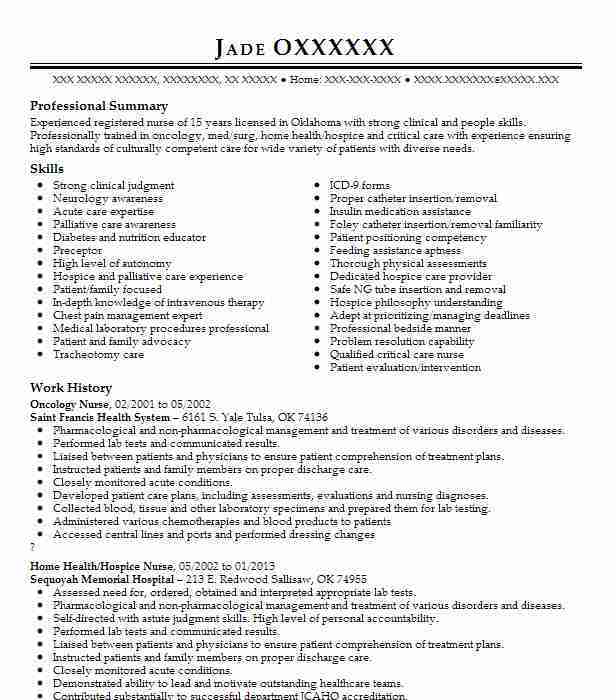 Summary: To serve as a registered nurse who will provide quality and compassionate care to patients and their families.